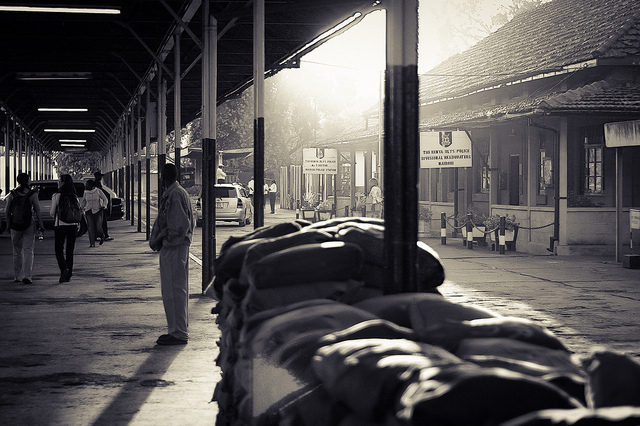 The Nairobi railway station. Photo by Xiaojun Deng, via Flickr. Creative Commons. On September 11, 2016, three women bluffed their way into Mombasa’s police station before stabbing an officer, setting off a petrol bomb, and being shot dead in the ensuing firefight. One of the women was wearing a suicide vest that did not detonate. The attack, which has been widely covered in Kenyan media, serves as an excellent test case for the kind of reporting required on issues of extremism and terrorism in Africa, particularly terrorism carried out by women. It was a perfect laboratory to begin bisecting the salience of Africa-centric methodologies of reporting terrorism that I have argued for. Terrorists rely on publicity and news coverage of their actions, and the kind of reporting we have witnessed in the local and global media time and again in the aftermath of terrorist attacks in Kenya and elsewhere, only works to create fear, anxiety and hysteria. That is why it is important to deny terrorists the publicity they seek. 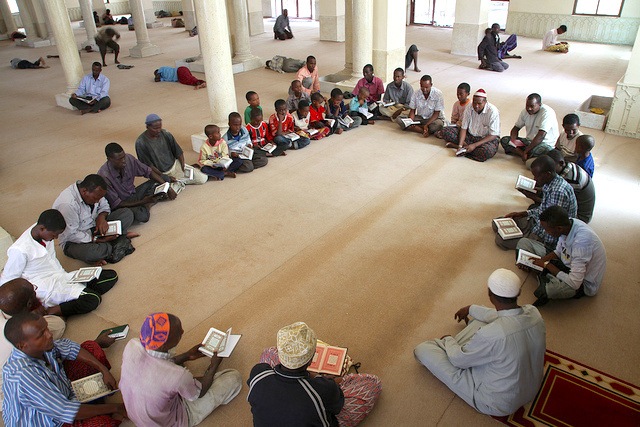 Men and boys read the Quran in a mosque in Mogadishu, Somalia. Countering violent extremism has to start with engaging youth. Photo by AU UN IST PHOTO / ILYAS A. ABUKAR, via Flickr. Creative Commons. 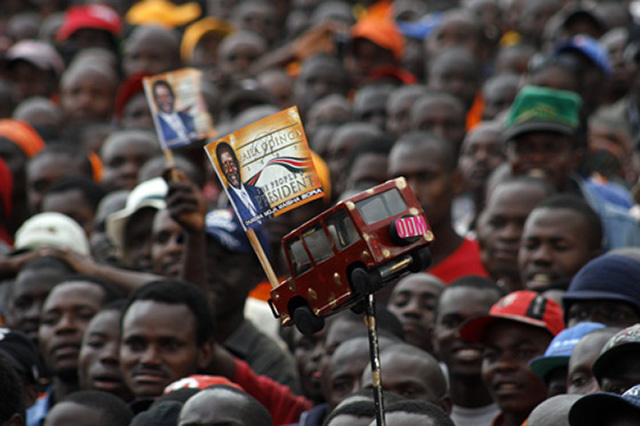 Kenya is in many ways on the frontlines of the “war on terror” in East Africa. The 2015 attack on Garissa University College and the 2013 attack on Westgate Mall are well-known, but the past six months have also seen smaller-scale attacks and the proliferation of arms through Somalia and along the Indian Ocean coast. 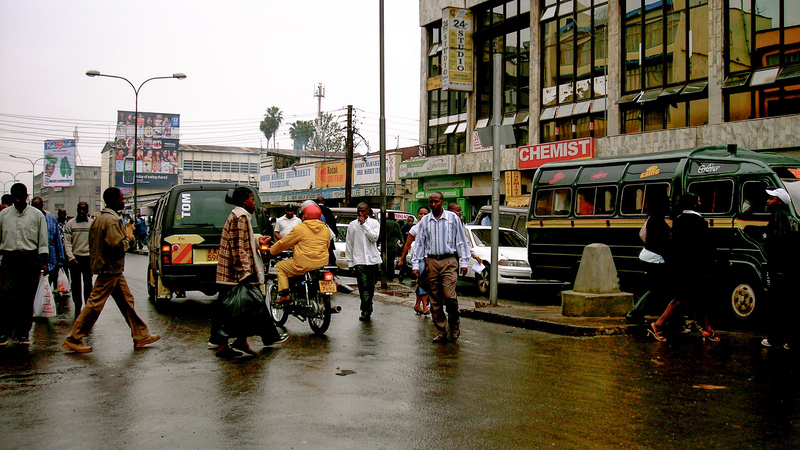 The cities of Nairobi and Mombasa are hotbeds of youth radicalism too. The country was a fitting host, then, for the 3rd Annual Islamic Conference in Nairobi this March, dubbed the “Journey of Faith,” where the theme was countering violent extremism. 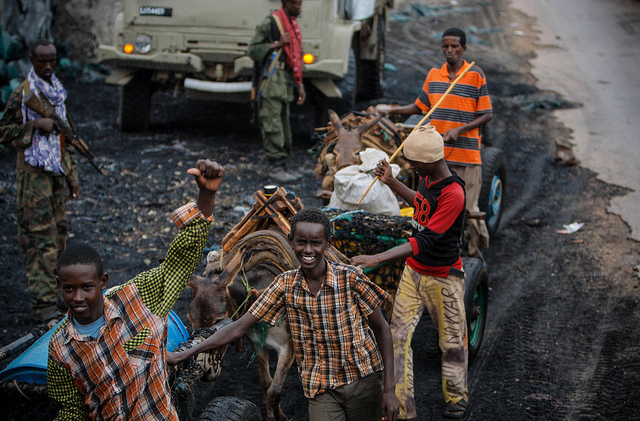 Somali youths in Kismayo with a load of charcoal. Countering radicalization has to start with youth engagement and opportunities. Photo by Stuart Price / AU-UN IST PHOTO, via Flickr. Public Domain. 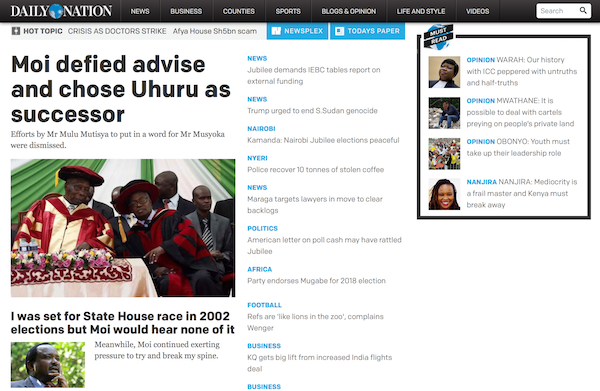 It appears al-Shabaab’s assault on innocent Kenyans and Kenya’s political economy is taking its toll. Al-Shabaab seems prepared to fight a long war, perhaps for many years or decades. As a group motivated by religious beliefs, they have won sympathizers at home and abroad. Kenya went into Somalia under an operation dubbed Operation Linda Nchi looking for a quick-fix solution to a complex asymmetric conflict. Confounding the expectations of experts and observers, that operation is now sailing into its fifth year, which begs the question—are Kenyans prepared to fight in Somalia for decades, as al-Shabaab is?